This article reports on the “germ theory” of Alzheimer’s disease. Germs in this case “means microbes like bacteria, viruses, fungi and parasites. In other words,” is Alzheimer’s an infectious disease. This theory “has been fermenting in the literature for decades,” but research in this area has received almost no funding. Having come of age in the glorious 1960s, I took particular interest in this list of books published in the following decade that, in a literary way, reflect the profound ways in which the ’60s influenced later society. The books from this list that I remember most vividly are Rabbit Redux by John Updike, Kindred by Olivia E. Butler, The Stories of John Cheever, All the President’s Men by Bob Woodward and Carl Bernstein, and Helter Skelter by Vincent Bugliosi. What about you? Do you remember any of these books? Ever since we began visiting the Pacific Northwest in the U.S. in the mid 1990s, I’ve been fascinated by the Giant Pacific octopus native to this area. Octopuses (yes, that’s the correct plural) are extremely intelligent, although their decentralized nervous system differs greatly from our own. Octopuses are also asocial, in contrast to humans’ need for social contact. 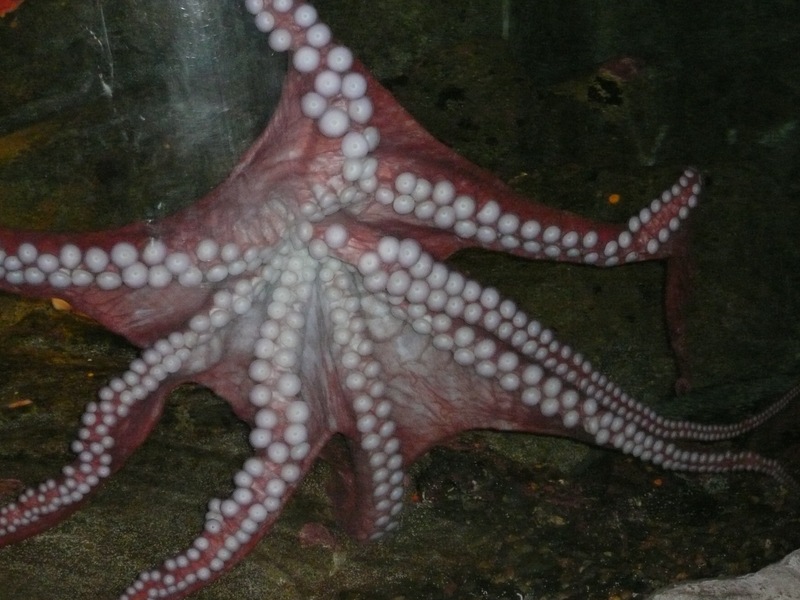 This article reports on a study by scientists interested in whether octopuses would react the same way humans do to “the drug MDMA, versions of which are known as molly or ecstasy.” The drug commonly makes people “feel very happy, extraverted, and particularly interested in physical touch.” The scientists were interested to discover that, despite our different nervous structures and social behavior tendencies, octopuses’ reactions to the drug resembled humans’ reactions. This is a long article, but it’s a must-read for anyone who moves from one place to another or from one medical facility to another. Dr. Ilana Yurkiewicz explains how lack of compatible electronic medical records can disrupt medical treatment and how such disruption can lead to life-and-death situations. caffeine is powerful stuff, and because it has a direct effect on your energy level, you should drink it with intention rather than on autopilot. This article is aimed at office workers (hence the emphasis on productivity), but it’s good advice for anyone who is bothered by occasional insomnia.